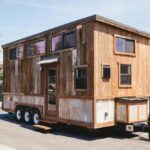 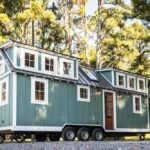 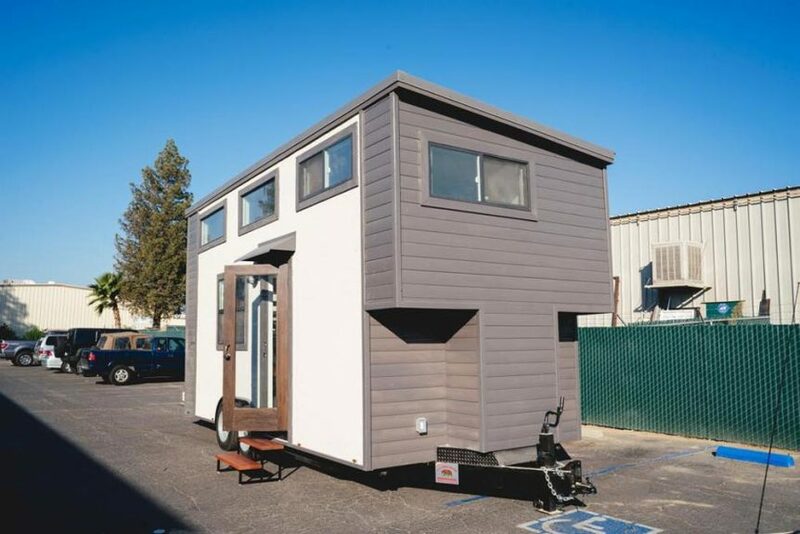 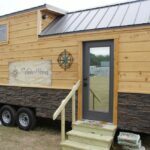 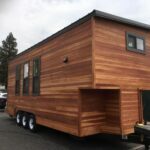 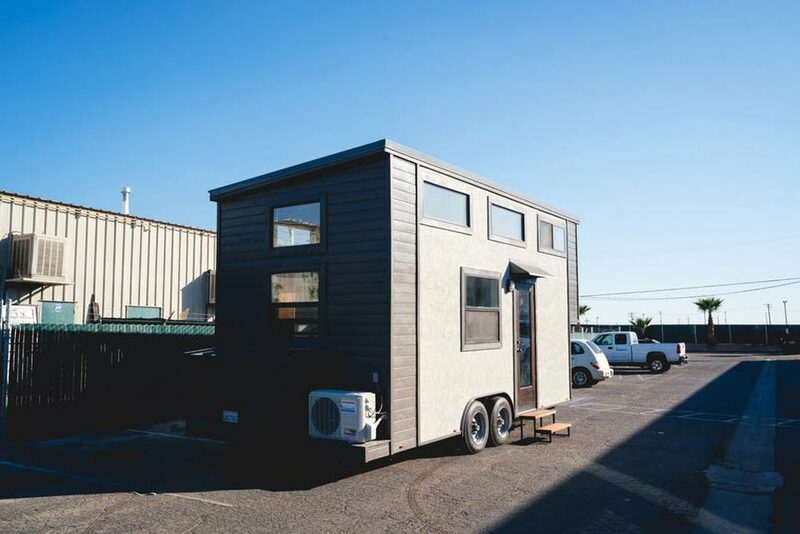 From California Tiny House is this custom 10’x20’ tiny home on wheels. 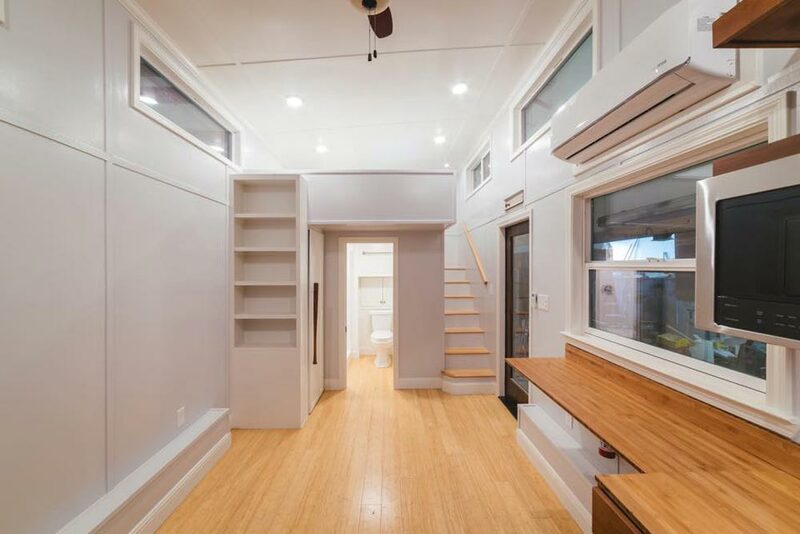 Custom touches include the client’s great grandmother’s baseball bat that was used in the first women’s league. 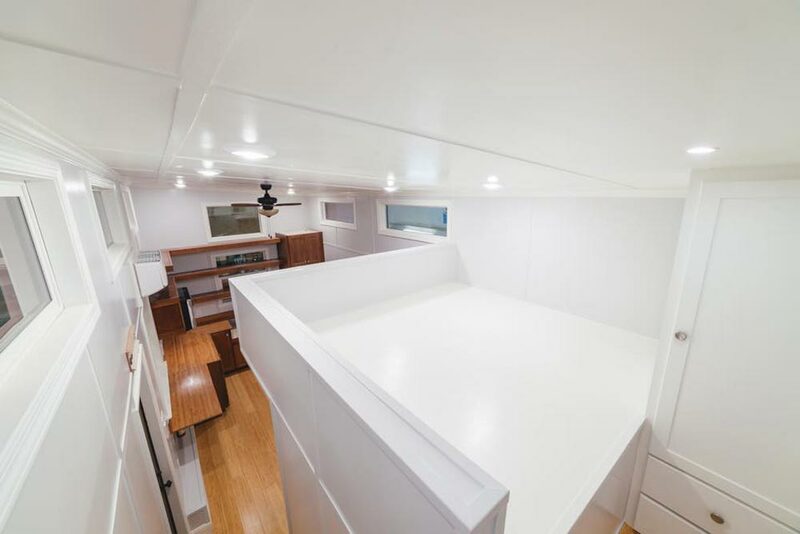 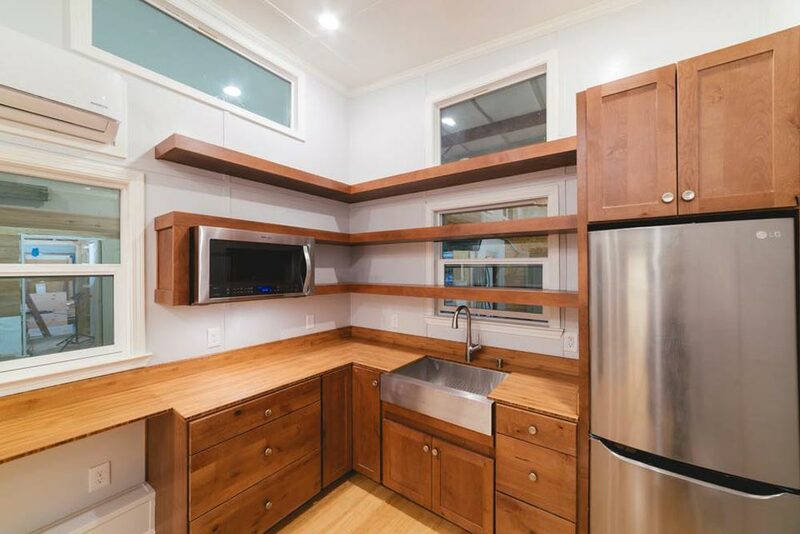 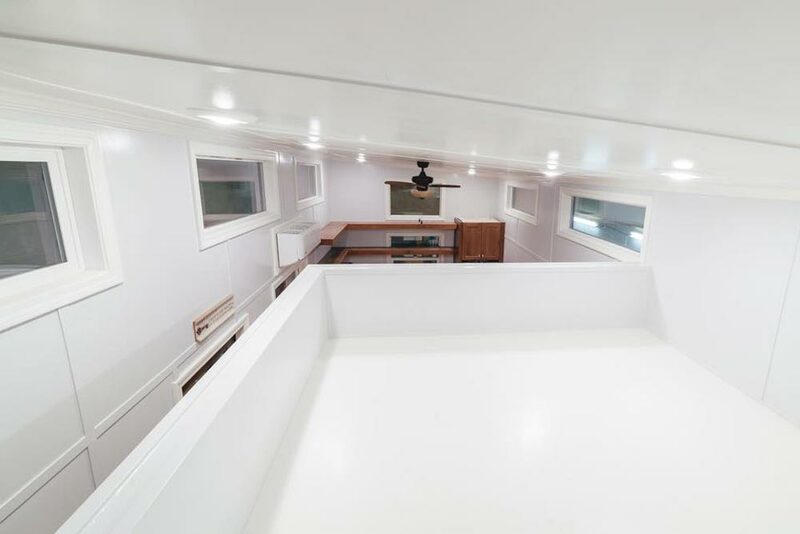 With its extra width, the tiny house features a spacious kitchen with bamboo countertops, Norcraft cabinets, and an additional eating/desk area. 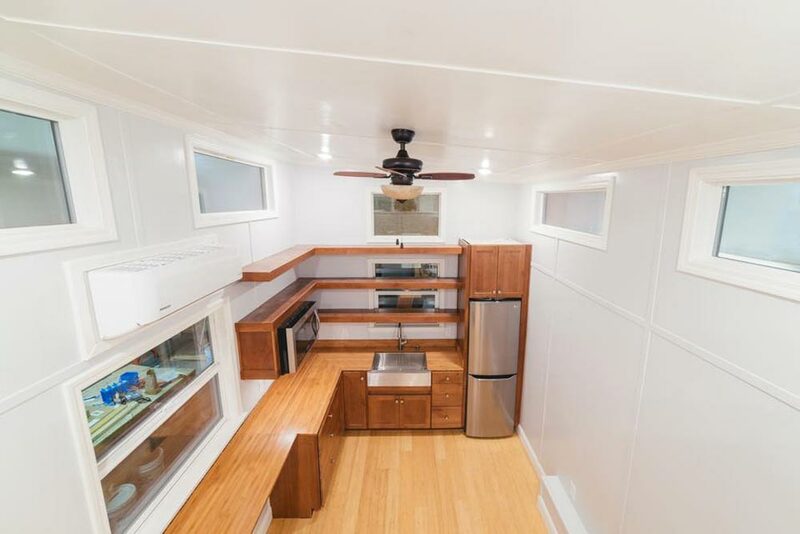 The client wanted more countertop space, so instead of a range they have a three burner induction cooktop that they can store in a cabinet when not in use. 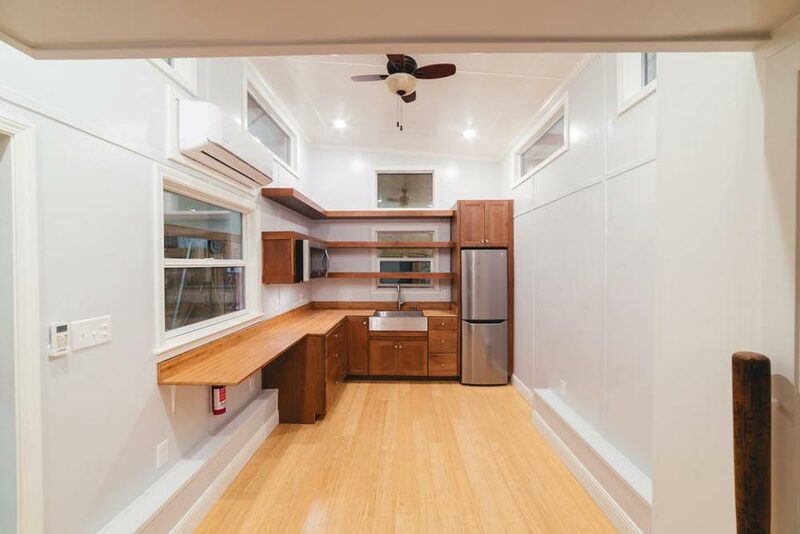 The client also wanted shelves across the kitchen window for an herb garden. 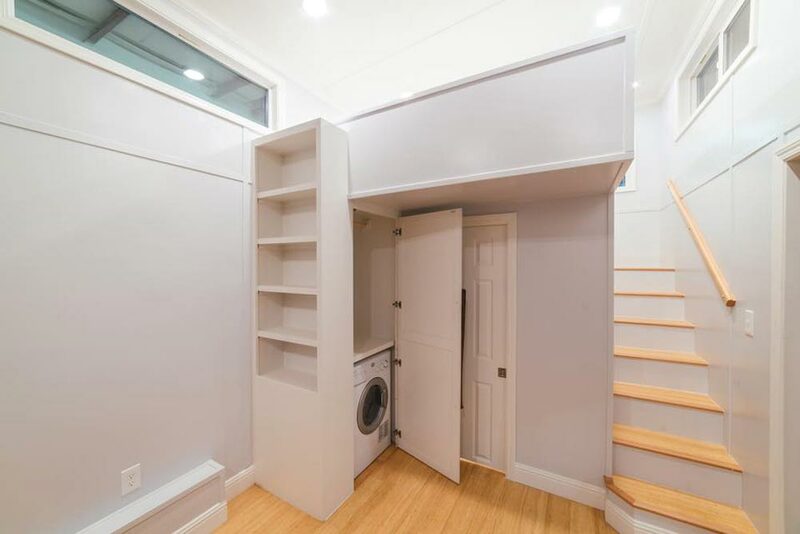 The living room has a bookcase and closet with combo washer/dryer. 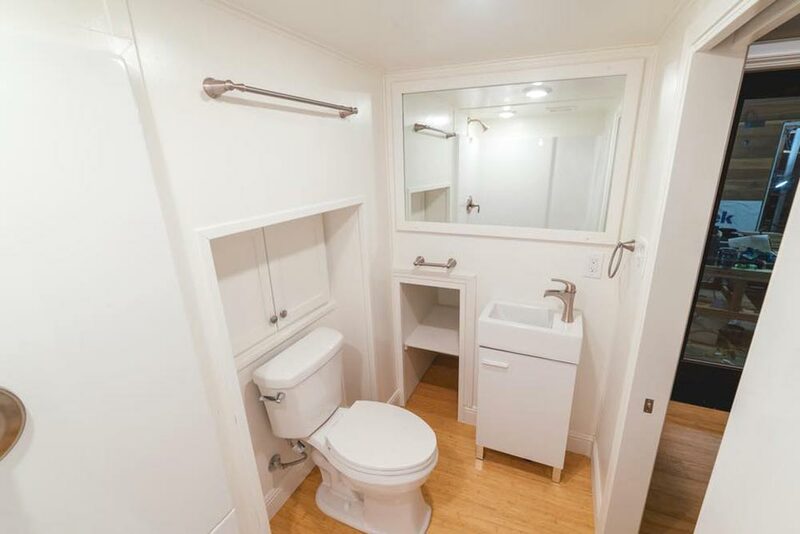 The handle to the closet is the great grandmother’s baseball bat. 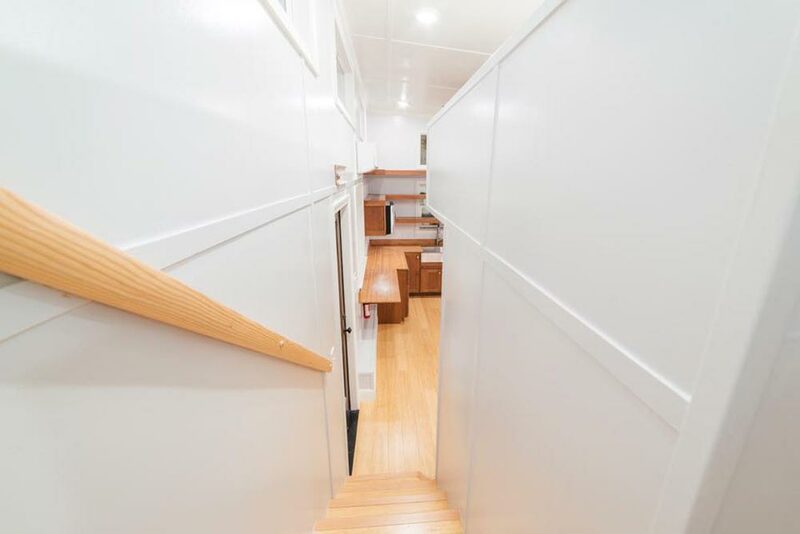 The staircase to the queen loft has a landing area with closet at the end. 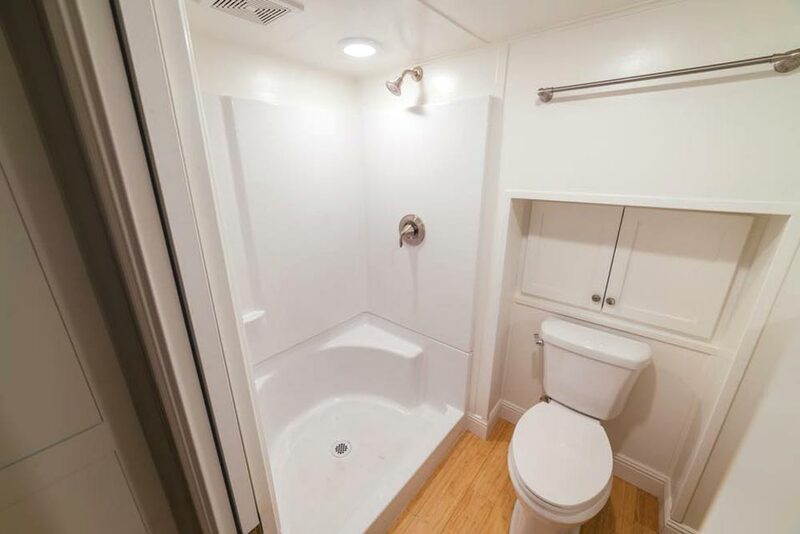 Below the loft is a full bathroom with 4’x4′ shower, ample storage, sink, flush toilet, and large mirror. 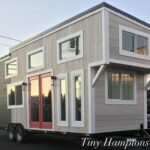 For more information about this custom tiny house, you can contact California Tiny House. 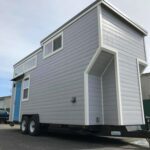 Also available from California Tiny House: Mount Diablo, Newport, Orey & Jenna's Tiny House, Cape Cod Cottage, Custom Tiny.